This is a curved rectangular Adler Brau Appleton Beer porcelain sign. This particular Adler Brau Appleton Beer sign is predominantly white with red, white, and green text. It reads, “Geo. 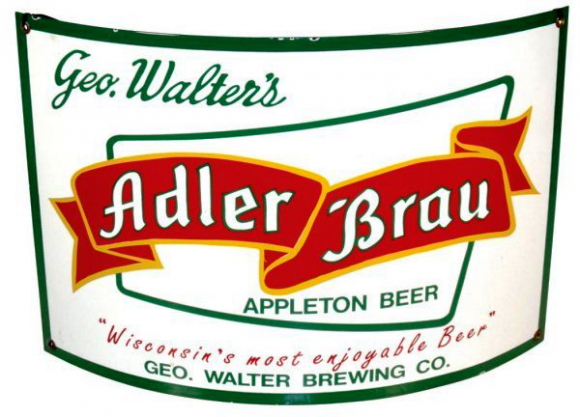 Walter’s Adler Brau Appleton Beer, Wisconsin’s Most Enjoyable Beer, Geo. Walter Brewing Co.” and features a large red and yellow Adler Brau banner in the center.